I hope you are enjoying my 2012 Year in Review posts. This is my 3rd and final part of The Year in Review. here are the links...Part 1, Part 2. Let's see, I believe I left off with September. 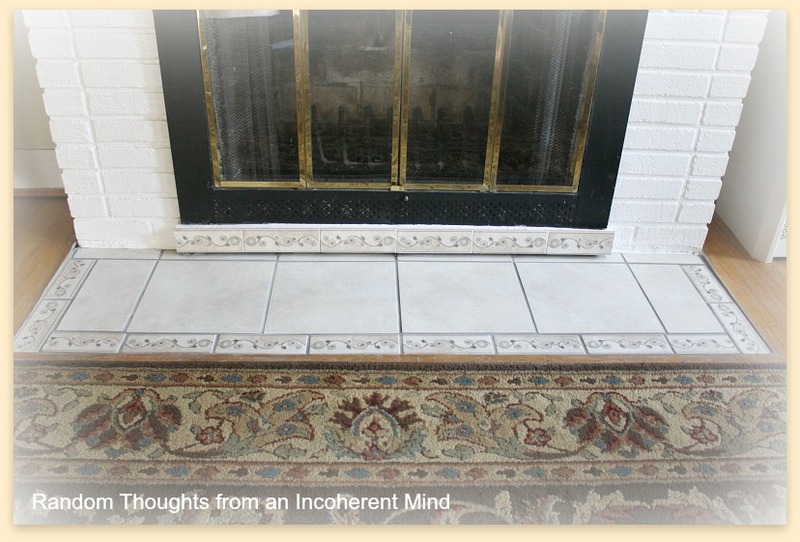 we added new tile to our fireplace. if you missed it, especially if you need a laugh. touched my heart! You girls are the best! I sewed this cute Jack the Pumpkin pillow. 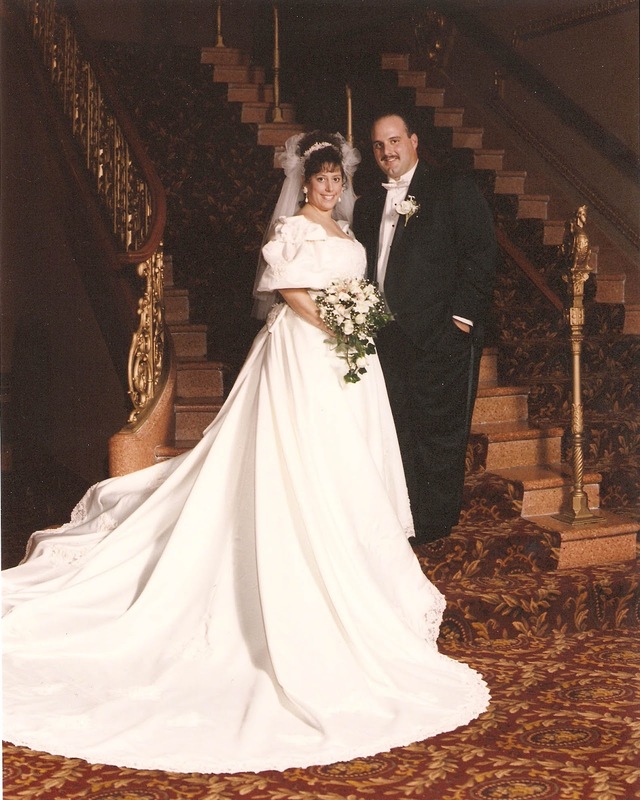 the Mister & I celebrated our 20th anniversary! 2012 was an excellent year. Thank you so much for being here with me. I appreciate each & every one of you! I think I saw all of these posts. I know I loved the Debbiedoo's tour. You have a great house Gina. YOu should never fear showing your home, it is beautiful. Happy New Year. Gina, your recaps are killing me! Love your home, simply wonderful with all the nooks and and personal touches. 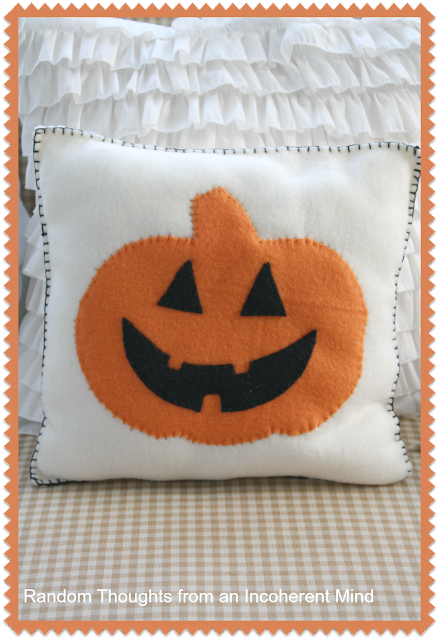 Oh and the pumpkin pillow, so cute! Have a wonderful New Years my friend and I look forward to part 4! You had SUCH a well done review! 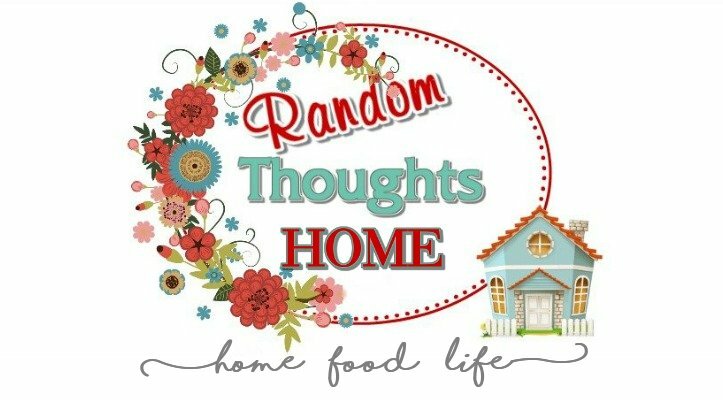 I love your blog and will always be a big fan of yours. I look forward to another wonderful new year of reading of your wonderful creations and inspirations. Grats again on your wedding anniversary - you were such a lovely bride! 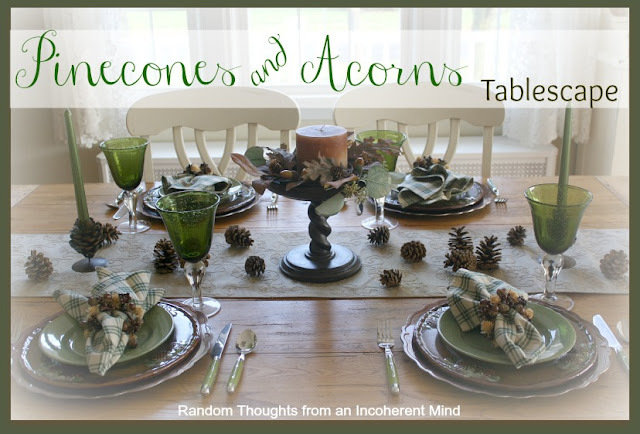 OMG-I love the pinecones and acorns tablescape-so naturally beautiful. 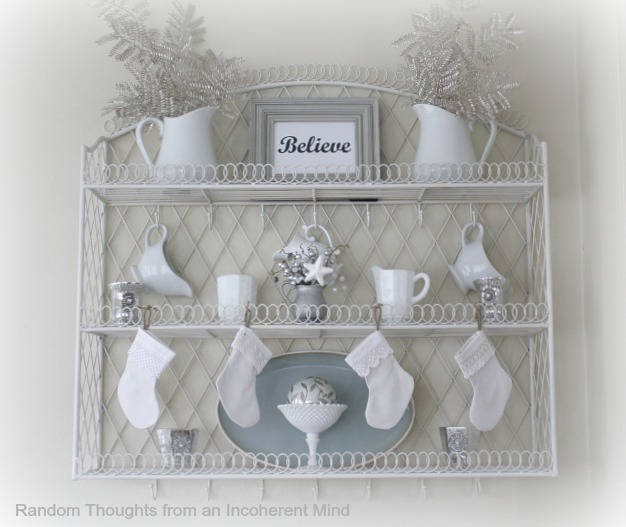 My other favorite is the white wire shelf. Thanks, I enjoyed catching up on the months I missed. Gina, You are such an inspiration and I always enjoy visiting your blog. I hope you have a blessed and Happy New Year. Great job reviewing the year Gina. I hope the new year brings you happiness good health and prosperity. Your wedding pic in honor of your anniversary is just precious -- beautiful gown! 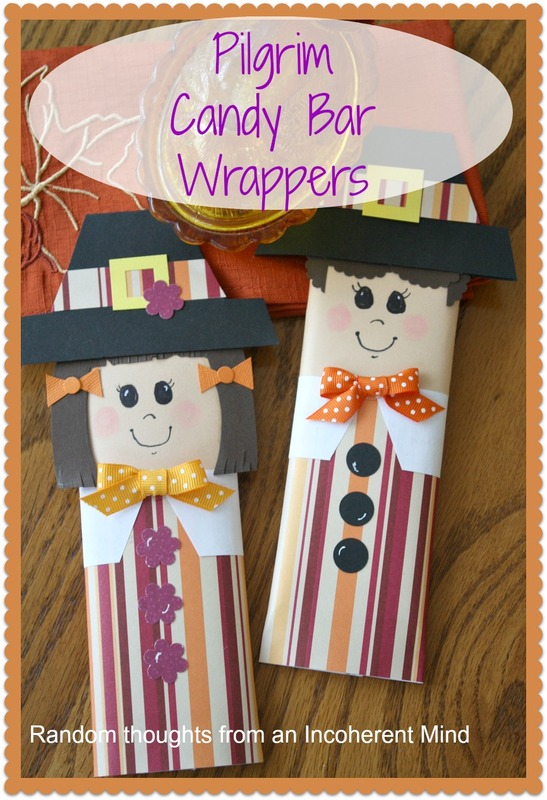 Your fall tablescape was so lovely and I adore those Pilgrim candy bar wrappers! 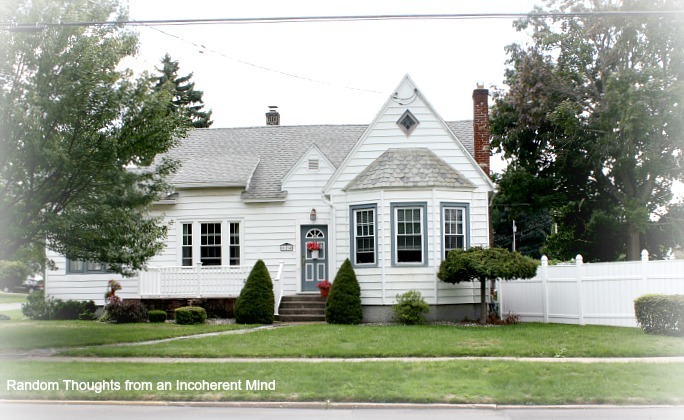 You were truly deserving of Debbie's Featured Home Tour! Thanks for sharing, Gina! Have a lovely and safe New Year! It's been a lot of fun this year following your blog and I look forward to next year and to all your creativity you share with everyone. I haven't been around blogworld much in the last few months, so I've enjoyed your recap. All your projects are great, but I really liked the fall ones. 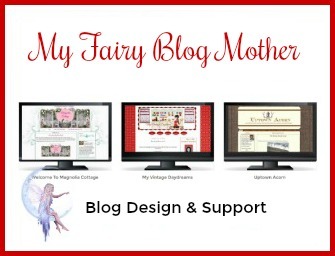 Thanks for dropping by my blog now that I have returned. Hope you have a very Happy New Year! I must say you have been such a busy little bee this year, Gina! So many great projects, it's hard to pick a favorite. Can't wait to see what 2013 brings, it's going to be AWESOME!!! Whew! I am now caught up. Gina, I loved everything you did this year! Every post was wonderful and I am looking forward to continue following you in 2013. Happy New Year! Gina thanks for the recap!! What an amazing year! 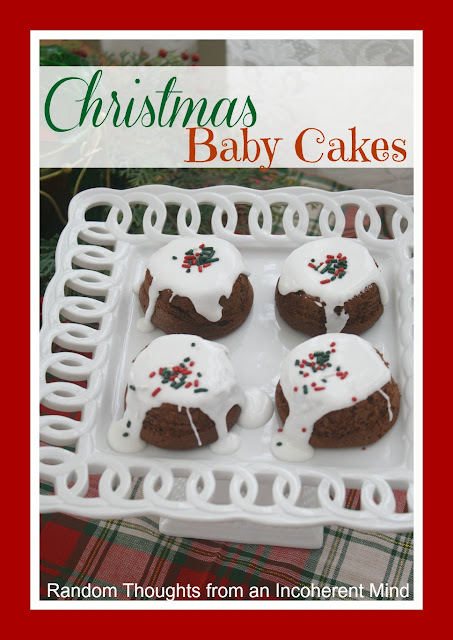 You've shared so many wonderful recipes and decorating ideas! As always, you continue to inspire me! So grateful to have "known" you this long!! I enjoyed your year in review posts, Gina! You had a great and productive 2012.